Collaboration and pioneering transformation work were at the heart of discussions concerning the future of the fire and rescue service at the Local Government Association's (LGA's) annual fire conference this week. Fire Minister Mike Penning’s keynote speech focused on an increased alliance between blue light services and closer working with Police and Crime Commissioners. New LGA publication 'Beyond Fighting Fires 2' shows how the sector is undertaking more collaboration initiatives to improve services for local people and deliver a more efficient and cost effective service. Planned home safety visits to focus on smoking cessation and alcohol reduction, and informing residents about bowel cancer screening. Cllr Jeremy Hilton, Chair of the LGA's Fire Services Management Committee, which represents 49 fire and rescue authorities in England and Wales, said: "After cutting the number of fires by half in the last decade, fire services are transforming the way they work with the other blue light services and a range of partners to save lives and deliver better services for local people. "The fire service is stepping up its prevention role with more pioneering joint initiatives and pilot projects. These include working with councils, charities and the NHS on schemes that are making a real difference to efficient and cost effective delivery, across the country. 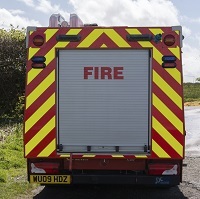 "The fire service needs to be funded to risk, not demand, to ensure it can respond to unanticipated local and national events, such as the devastating December flooding in Cumbria, Lancashire, Northumberland and Yorkshire. This means it is well placed to continue to develop new partnerships and improve joint working with a wide variety of partners. "However, this opportunity could be lost unless government improves its understanding of the capacity of the service to make further savings through efficiencies." As well as collaboration and transformation, the two-day fire conference in Bristol on on March 8-9 includes discussions on the Spending Review, devolution, workforce, flooding, the Policing and Crime Bill, and health and wellbeing.